2. Enter the provided URL in the location bar. 4. 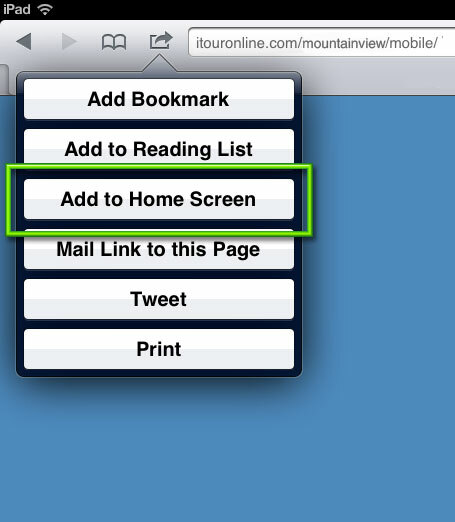 Select "Add to Home Screen" which is shown in the green box above. 5. Accept the name that comes up or change it to what you want. 6. You will be returned to the iPad screen. You should see the icon that was just added. Just tap it to start your icon like a regular App. 1. Touch your finger to the icon and hold it there for a few seconds. 3. 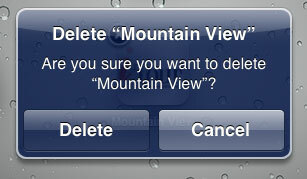 Select "Delete" from the dialog the pops up, and the app will be removed from your iPad. 4. 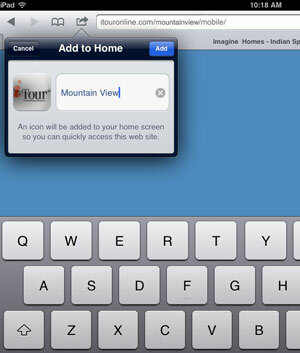 Press the home button to switch off the edit icons mode on your ipad.